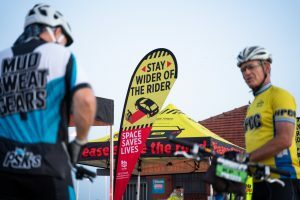 The Pedal Power Association (PPA) is organising a series of safety awareness events in Durban and is calling on all local cyclists to participate. A 25km awareness ride will take place on Saturday, 27 April, starting at 6h00 from Cycle Lab Cornubia Mall that will see riders cycle to Umhlanga Ridge and back. Taking place the day before the popular aQuelle Tour Durban, the ride will focus attention on the dangers faced by the many cyclists who use the roads in Durban. What vehicle drivers inexplicably seem to forget is how vulnerable cyclists are on compared to a motorist. Cyclists aren’t always in the right but, in any confrontation with a vehicle they are significantly more vulnerable to injury. Through these safe cycling awareness events, the PPA is asking motorists to please give cyclists the space they need to use the roads safely. “The PPA would like motorists and cyclists alike to modify their behaviour and do the right thing by obeying the rules of the road,” says Vogel. “A behaviour shift is the only sustainable and cost effective way to make the roads safer. When the traffic laws are broken, we need zero tolerance approach from the authorities. “Cyclists are contributing members of this community, we are people with families, and all we ask for is the authorities consideration and attention in addressing the issues that so tragically impact the South African cycling community,” he concluded. Route: From Cycle Lab Cornubia, exit in a southerly direction, turn onto Umhlanga Ridge Blvd. From there, it’s onto Herwood Drive, straight to Umhlanga Rocks Drive, to Margaret Maytom into Adelaide Tambo Drive. Continue onto Newport Drive to Armstrong Ave, then carry on to La Lucia Mall under M4, proceed to Forest Drive, onto Ocean Way, then Lagoon Drive to Weaver and Park Ave, under M4 onto Portland Drive, up “Radar Climb” onto Herwood Drive onto Umhlanga /ridge Blvd, and carry on over N2 Freeway to Makro Circle, and finally to Cornubia. It is a relaxed-pace, 25km ride and all cyclists are invited to join. Please wear bright clothing and, should you wish to purchase a high-visibility “Stay Wider of the Rider” jersey, kindly contact Zarah on 021 671 3478 or zarah@pedalpower.org.za to arrange this. The PPA will hand out posters there, please join and support.